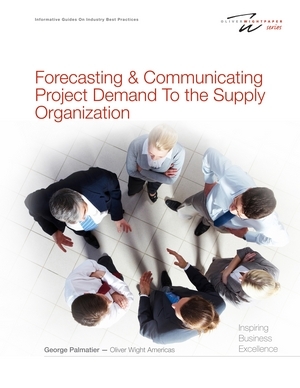 In these white papers and articles, authored or co-authored, by George Palmatier you will find information on the following subjects: Sales & Operations Planning, Strategic Planning, and Demand Management. 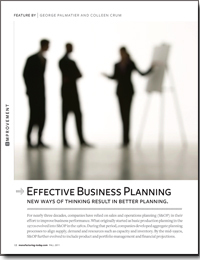 Oliver Wight’s new white paper, How Good Is Your Sales and Operations Planning/Integrated Business Planning Process?, by Jim Correll and George Palmatier, contends that the magic to successful S&OP/IBP is that regular, routine realignment and synchronization of all functional plans brings simultaneous improvement in those functional areas and that many organizations are not getting the available bottom-line results from the process. The authors present a 10-question survey that enables assessing the quality of a company’s S&OP/IBP process. Each question is scored on a scale from 0 to 5, and readers can tally their own score to judge the health of their S&OP/IBP process. The point system is based on the authors’ more than 35 years of experience, as well as the results of numerous independent surveys. Correll and Palmatier explain the point ranges and the organizational impact at each level. 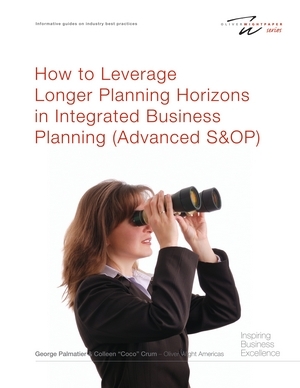 This white paper explains the differences between S&OP and IBP; specifically how it relates to the planning horizon. 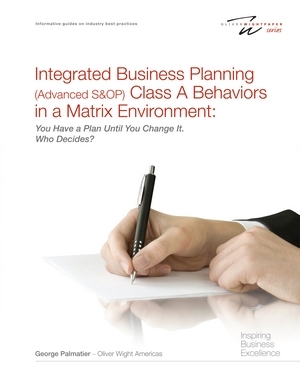 Class A Behaviors In A Matrix Environment: You have a Plan Until you change it. Who Decides? 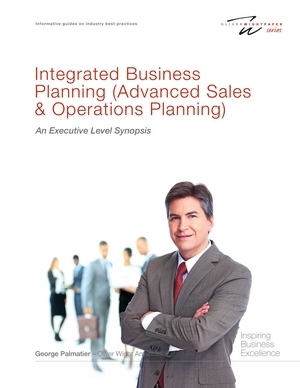 This white paper focuses on the principles and behaviors required to successfully operate Sales and Operations Planning, also frequently called Integrated Business Planning, in a matrix environment. Three principles are highlighted, and the six behaviors needed to support those principles are explained. Oliver Wight is known for its Class A standards, as embodied in the Oliver Wight Class A Checklist for Business Excellence. Companies operating in a matrix environment will be helped in achieving Class A business performance by following the principles and behaviors highlighted in this white paper. 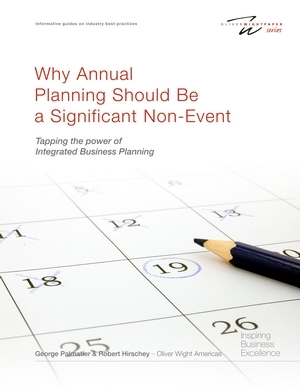 Companies have been improving business performance for almost three decades through Sales & Operations Planning (S&OP) but not all have evolved from fundamental demand and supply balancing to an internal strategic deployment and management process - Integrated Business Planning (IBP). 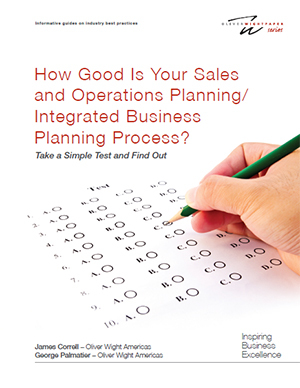 Find out where your company is on the maturity of S&OP and the real benefits of advancing from basic S&OP to Integrated Business Planning. 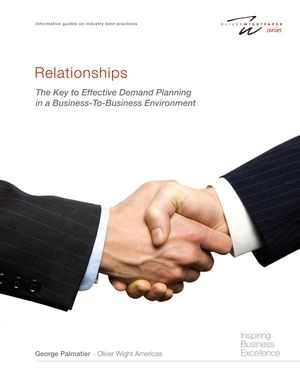 The integrated management process known as Sales and Operations Planning (S&OP) has evolved over three decades. 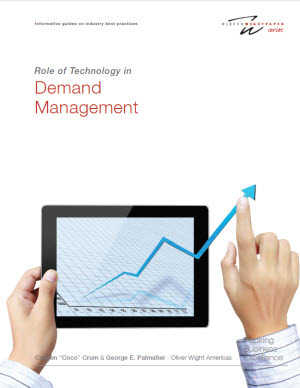 In recent years it has taken a major evolutionary step for many companies that have realized the need for, and the benefits of, operating with one integrated management process. 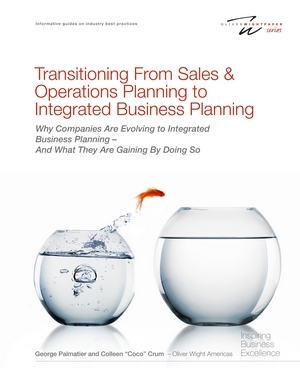 Integrated Business Planning is the name many companies are using to describe a strategic management process integrating all the functional elements of the business picking up where traditional S&OP leaves off. This paper discusses the integrated management process known as Sales and Operations Planning and its more mature version, Integrated Business Planning. 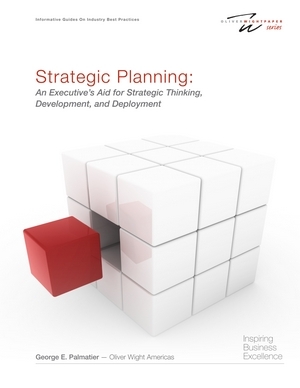 It is written to give management and leadership a quick synopsis of this integrated strategic management process. 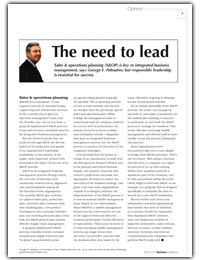 Sales & Operations Planning (S&OP) is key to integrated business management, says George E. Palmatier, but responsible leadership is essential for success. The Sales and Operations Planning process consists of a series of steps, the Management Business Review being one of them. 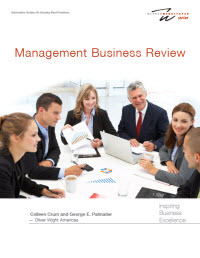 In this white paper, Colleen and George review the typical agenda for a management business review, questions that should be asked, and the role of the general manager or president. 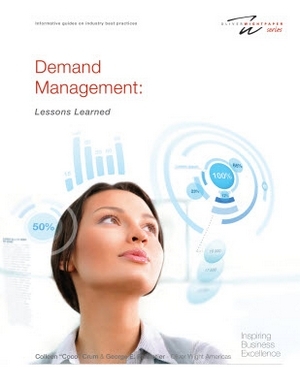 This white paper is based on the lessons learned by Oliver Wight consultants in helping companies, large and small, implement demand management processes over the past 20 years. In this paper, Palmatier and Crum share the keys to success. This paper has also been translated into Spanish. 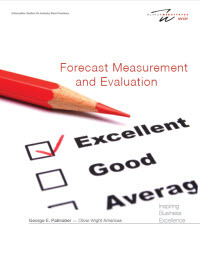 In this white paper, George stresses the importance of forecasting and why accuracy should be measured. You will find information on how to measure forecasts, what to expect, how to evaluate results, and how to handle inaccuracies.